An exquisite exploration of the magic and mystery of night-time. When Hannah wakes suddenly in the night, she discovers a whole new world of adventure. When Hannah wakes suddenly in the night, she discovers a whole new world of adventure. With nobody awake to tell her off, she can do just as she pleases. The book combines simple language with beautifully textured images, capturing the innocence and wonder of young children at play. Treasure to the average four year old. 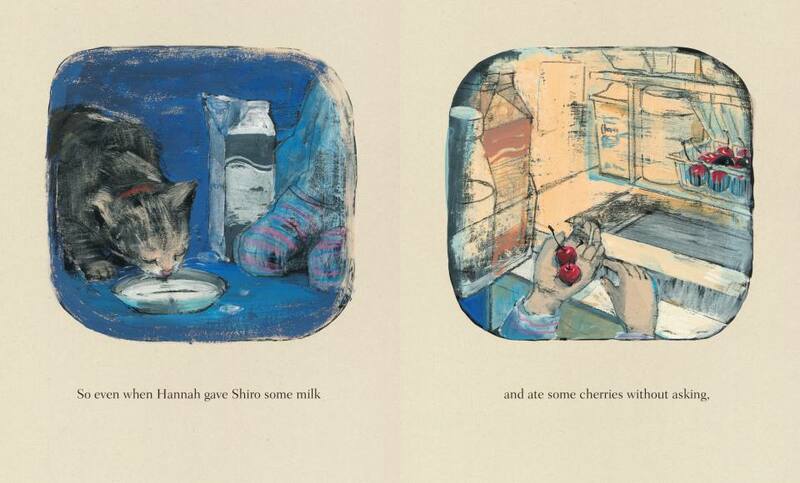 Allows [Hannah’s] own resourcefulness to provide the story, demonstrating a respect for toddlers and their world matched by the pictures, serious blues and purples warmed by comfortably scratchy lines and anchored by protectively rounded borders. Sakai is a master at capturing toddlers’ body language and expressions, and her brief text clearly telegraphs the freedom Hannah feels on this toddler-sized adventure. Sakai’s paint and colored pencil illustrations are exquisite. So layered and full of texture and even in the deep blue darkness, have so many bright highlights. The wee hours of the morning take on a magical quality in this pitch-perfect picture book. Spare text perfectly complements the hazy, scratchy, blue-tinged illustrations that slowly expand to capture Hannah’s hushed reverence for the night. The beautifully textured images really capture the peaceful night as Hannah explores the night-time world. It’s a lovely story to read just before bed and perfect for the beginner reader too. Sakai’s evocative illustrations envelop readers in the stillness and silence of a hushed home. Done in paint and colored pencil, they perfectly capture a child’s innocent point of view… Absolutely enchanting. If someone were to ask me who some of my favorite author-illustrators for very young children are I’d say that Komako Sakai is most assuredly one of the names at the top of that list… If her books are any indication, Sakai knows young children very well. 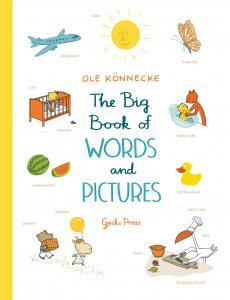 A sweet…peaceful story with lovely pictures that children will easily relate to. The artist’s smoothly drafted drawings capture with aching sweetness all the movements of a very young child … By keeping her focus tight and observing Hannah closely, Sakai’s characterization fells natural, light, and true to life. This sweet book tells of the night-time adventures of Hannah, a little girl who discovers that at night she can get away with things she’d never dream of doing by day. From sneaking a midnight snack to playing with her sister’s toys, she has some cheeky fun while everyone else is asleep. The illustrations are enchanting and add a dreamy serene quality to this lovely story of the little girl who made her own decisions in the middle of the night. 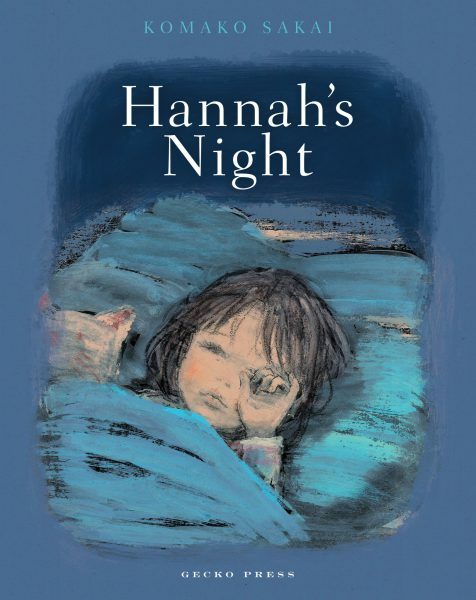 Hopefully young ones will be inspired to sleep, rather than stay awake at night, by Hannah’s Night, with its beautifully dark, textured colours and tale of night-time exploration. In this simply told and beautifully illustrated picture book, night-time is no longer painted as scary, but a wonderful world to explored. Hannah wakes one evening and, with her cat Shiro, finds that night is a place of adventure, a place where she can do as she pleases. 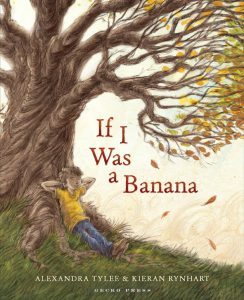 A delicate reflection on freedom through a child’s eyes… This delightful story is as soft as the night and as gentle as dawn’s first light. A gentle story that resonates with the peace and magic of night-time. Hannah’s wanderings around the house perfectly capture the innocence and wonder of a young child given an unexpected chance to explore. A new and beautiful find … has ‘bedtime story’ written all over it. Buy this book. It is just that simple. The imagery and words are so soothing … Such a simple story told well. Totally hits the mark. There is something wide-eyed and adventurous about this book and while the story is gentle and engaging, and the pictures are utterly entrancing. The illustrations are unique and the book feels luxurious to the touch. Komako does an amazing job of capturing the essence of night time and Hannah is a cute and relatable character. 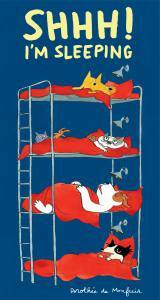 Finally we have a bedtime tale… A peaceful story with lovely pictures that children will easily relate to. 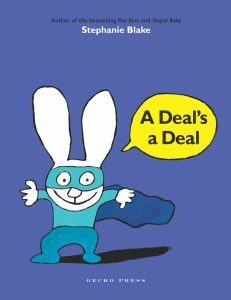 A gentle story to show young children a different perspective of their homes, and to reassure them that darkness is not frightening. Night-time wanderers will be entranced. There is a sense of safety and security pervading this book, not only in Hannah’s domain, but in Hannah herself… It encourages re-reading, and it’s not hard to imagine it being a bedtime favourite. Highly recommended. The illustrations alone make us fall in love with this book… This is one to capture the hearts of preschoolers and parents alike. Accompanied by her feline partner in crime, Shiro, Hannah embarks on a quietly thrilling night of delights…There’s a sense of fun right through to the dawn break, at which point, young readers might rest their eyes and await their own nocturnal adventures. 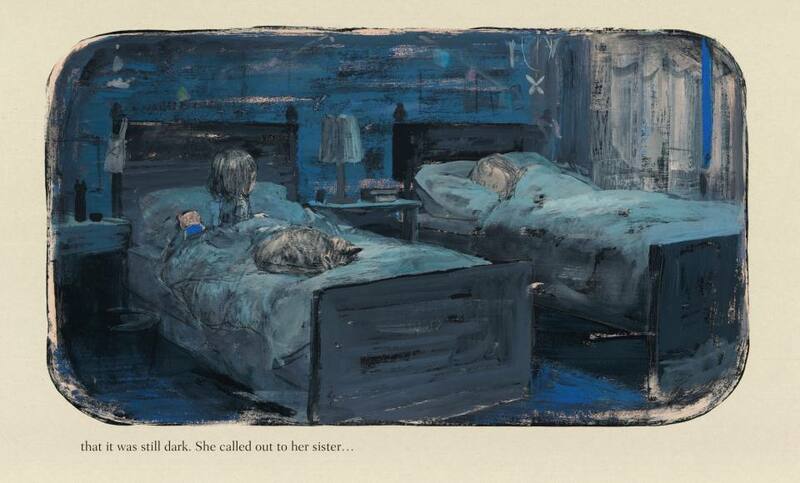 Exquisitely illustrated in nighttime colours, this story shows the power of being alone. The illustrations are beautifully soft and textured, framed in rounded vignettes, and capture the night-time quiet and innocence as you follow Hannah in her discoveries and adventure. 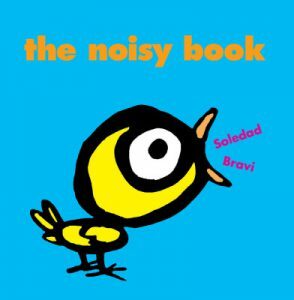 This beautifully crafted picture book works like a visual haiku … What is lovely about this book is the traditional craft evident in the illustrations: not a cartoon or computer-generated image in sight! Recommended. A gentle story about waking up before the rest of the family (a situation many parents will identify with) is treated with visual subtlety by Komako Sakai, illustrator of The Bear and the Wildcat. The writing is restrained and the pictures as texture-rich as you might expect from an artist trained in kimono fabric design. An exquisite exploration of the magic and mystery of night-time, Hannah’s Night is a soothing exploration of the peace, calm, and quiet that can be found in the midnight hours… I suspect this book will be on my end of year best-of-the-best list, but do yourself a favour and don’t wait till December to track it down. Truly beautiful picture books seem increasingly to be losing out these days to their more jokey cousins. So, a warm welcome to Komako Sakai’s radiant Hannah’s Night… Swirling, atmospheric illustrations in oil paints show Hannah enjoying a series of domestic nocturnal adventures while her older sister sleeps on. This is a simple and charming tale with evocative realistic pictures… A gorgeous book, which little ones will identify with. Thank you for publishing this deeply moving and beautiful book . I loved it.